Research offers new approach on glaucoma treatment. A new trail compares drops and laser-based treatment could have a huge impact on how we manage the disease. A milestone study has opened up new possibilities for managing the disease. 80% of patients respond as well as they would to the eye drop PGA and if the laser treatment wears off over time it can be repeated. It takes 10 minutes in an outpatient setting, using a YAG laser and side effects are most uncommon. Research from Moorfields Eye Hospital and UCL Institute of Ophthalmology showed using SLT, selective laser trabeculoplasty on newly diagnosed patients was more successful and cost effective, than the current method of drops. SLT has become an established treatment for glaucoma but due to the lack in evidence and perception of the laser, has not yet been widely adopted. The studies main question was ‘Should SLT be used first line?’ The answer was a resounding yes. SLT is safe and more effective as a first line, with drops later as needed. 93% of patients met their pressure target at 3 years, with 72% not requiring any drops at all. The LiGHT trail, one of the biggest of its kind assigned one of the two treatments to each patient; either the traditional eye drops or the quick, painless laser which disrupts the blockage. SLT was first introduced in 1995 and become a recognised replacement for argon laser trabeculoplasty (ALT). Though both are effective and safe SLT is safer and more repeatable. ‘Eyes of patients in the SLT group were within target intraocular pressure at more visits by 93% than those in the eye drops group at 91%, with glaucoma surgery to lower intraocular pressure required in none versus 11 patients,’ in a report funded by the National Institute for Health Research. SLT has now been recommended as the first-line of treatment for open angle glaucoma and ocular hypertension. 600,000 people in the UK are living with glaucoma and with an aging population, Glaucoma Research Foundation have said it expects rates of the disease to increase in the coming decades. Researches await the NHS to clinically endorse the laser as first-line which could be life-changing for glaucoma patients. Currently the eye drops work to lower pressure in the eye by increasing the fluid outflow and reducing the amount of aqueous the eye produces. Laser treatment becomes an option if the drops prove ineffective. According to the NHS, ‘you may need to try several types (of eye drops) before you find the one that works best for you. Sometimes you may need to use more than one type at a time.’ Consider the amount of time required both on the patients’ side and the prescribing medic, glaucoma can be a time consuming and costly disease. Requiring regular check-ups to monitor pressure and for those who are ineligible for free prescriptions, a financial burden too. Trabeculoplasty is used most often to treat open-angle glaucoma. A laser beam is used to place a small hole in the iris (the coloured part of the eye) which allows the aqueous to drain more freely within the eye so the iris doesn’t plug up the trabecular meshwork. This new form of treatment would reduce outpatient visits, if not eliminate them all together. Reducing the pressure on the hospital eye services and set to save the NHS up to £1.5m a year in direct treatment costs for newly diagnosed patients. These results could fundamentally change how glaucoma is treated worldwide. It is Glaucoma Week, a disease that remains one of the biggest causes of irreversible blindness globally. There is huge publicity in a bid to attract people to have regular eye examinations and optic nerve checks, especially first degree relatives, FDR. FRDs are at 10 times the risk of developing glaucoma. If these relatives acted and had regular glaucoma checks, it's likely to save a great deal of sight. Glaucoma is a group of diseases, causing progressive damage to vision. What is surprising for most patients, is that it does so without any prior warning or symptoms until much later in the disease process. While treatment here is effective against further progress, so arresting the disease, there is no reverse to the damage done. 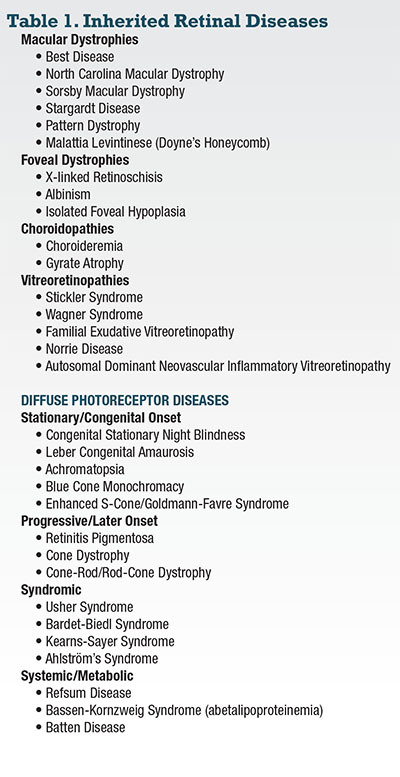 Early diagnosis is key for preserving vision. The World Glaucoma Associated aims to eliminate glaucoma blindness through awareness and examination. Matheson Optometrists now provide a new treatment for Dry Eye called IPL(intense pulsed light). In the photo below you can see a patient having the procedure performed. 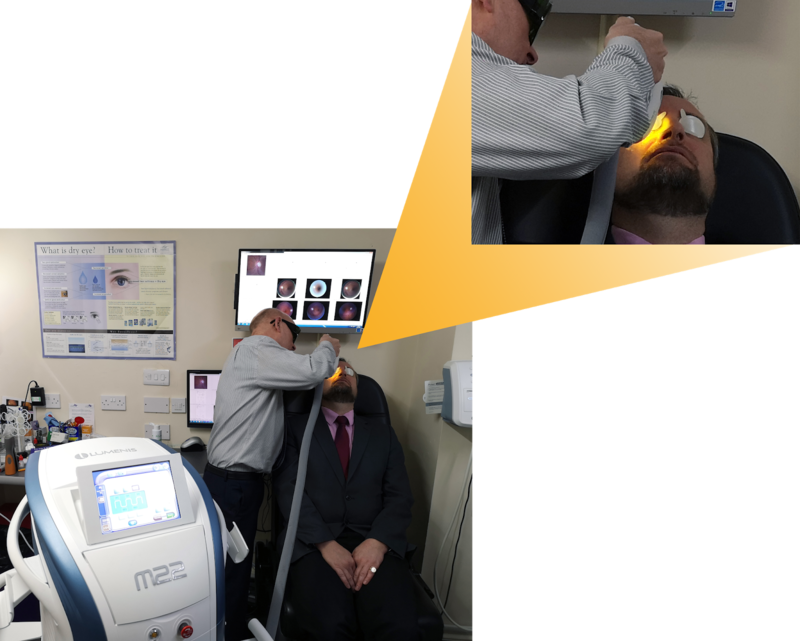 Using the advanced Lumenis M22 device scientifically controlled pulses of intense red light of only a few milli-seconds duration are applied to the eyelids and upper face. · The abnormal blood vessels in the inflammed lid margin are closed as the IPL light coagelates the oxy-haemoglobin flowing through them. This stops the vessels releasing inflammatory mediators into the meibomian glands in the lid margin. Illustration of application zones 14 pulse sequences per treatment. Usually four sessions are required with between 2 and 3 week breaks between sessions. This a new and exciting addition to the armoury of products and techniques we now have to treat dry eye, such as New eye drops like Meibo-Tears that contain phospholipid liposome molecules that help the lipid surface layer of the tear film to the watery component beneath. For the best possible recommendations we recommend having a full Dry Eye Assessment at one of our practices. Dry macula degeneration has 2 subtypes, drusen based and atrophy based. In drusenoid macula degeneration there is a gradual build up of waste products in the retina, formed during the process of seeing. Just underneath the photo-receptors is the retinal pigment epithelium, the drusen deposits here disrupt the normal regular spacing of the photo-receptors and distort our central vision. There is a gene therapy research trial being undertaken in Oxford on dry AMD, which although is in the early stages is proving promising. 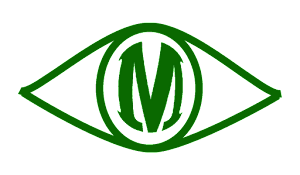 The degenerating process and build up of waste product is normally slow and currently the only proven way to attempt to slow down progression is to take an antioxidant vitamin/mineral supplement, such as Healthy Eyes. Healthy Eyes are a chewable supplement containing Lutein and Zeaxanthin which is perfect for those suffering or wishing to lessen their chances of developing age related Macula degeneration. The chews are formed from natural fruit pectin ( a gelling agent extracted from citrus fruits), giving it a pleasant and fruity taste. There are no artificial colourings or flavourings and are gelatin and gluten free. To suit most modern diets, they also contain no milk, wheat, eggs or nuts and have no artificial sweeteners. These waste products building up in the retina are now being picked up earlier than before, with OCT scanning and Autofluorescence Photography. 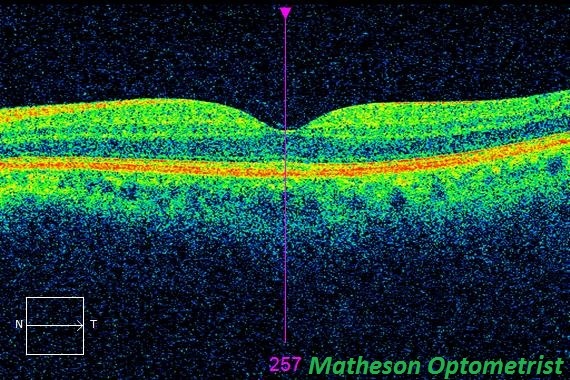 Matheson Optometrists are working with retinal camera developers in building a system for this. When Lipofusin (considered an aging or 'wear-and-tear' pigment) in the retina is illuminated with a specific wavelength of visible light, it fluoresces, or glows. 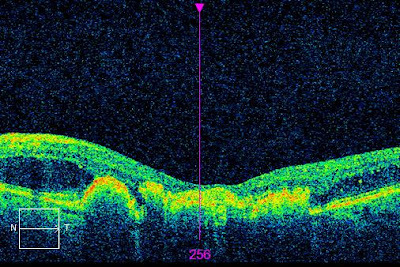 The first gene therapy procedure, aimed at stopping age-related macula degeneration (AMD) has just been completed by researchers. Robert MacLaren FRCOphth a professor of ophthalmology at the University of Oxford undertook the operation at the John Radcliffe Hospital, also in Oxford. Professor MacLaren ran the first gene therapy clinical trials from Oxford for rarer causes of blindness, Choroideremia and retinitis pigmentosa. Professor MacLaren ran the first gene therapy clinical trials from Oxford for rarer causes of blindness, Choroideremia and retinitis pigmentosa. The patient, Janet Osborne an 80-year-old woman from Oxford, has geographic atrophy (GA) which is associated with progressed dry AMD. It causes blurring in the central part of vision, for Janet in her left eye. The procedure involves detaching the retina, injecting a virus-containing solution, beneath. Contained in the virus is the modified DNA sequence which infects the retinal pigment epithelium cells and corrects the genetic defect which causes AMD, reports Oxford University Hospital. 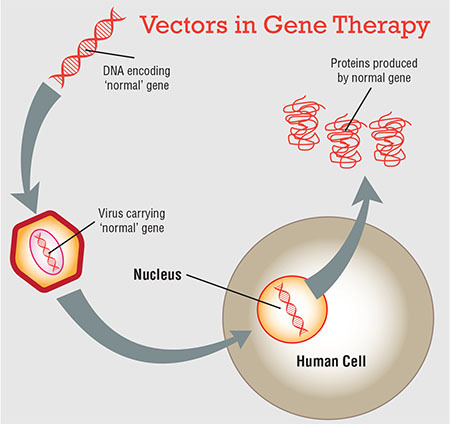 "We're harnessing the power of the virus, a naturally occurring organism, to deliver the DNA into the patient's cells. When the virus opens up inside the retinal cell it releases the DNA of the gene we have cloned, and the cell starts making a protein that we think can modify the disease, correcting the imbalance of the inflammation caused by the complement system." MacLaren stated at the release. "It is an interesting application and approach to this very common cause of vision loss," Allen C. Ho, MD, the Director of the Retina Research Program at Wills Eye Hospital and OSN Retina/Vitreous Board Member noted. The operation was the first phase of the 1/2 FOCUS trial, which is accessing the biological activity of the treatment, developed by Gyroscope Therapeutics. "What's unique about this particular clinical trial is that they are trying gene therapy surgically delivered to the subretinal space to try to modify the disease process," Ho said. 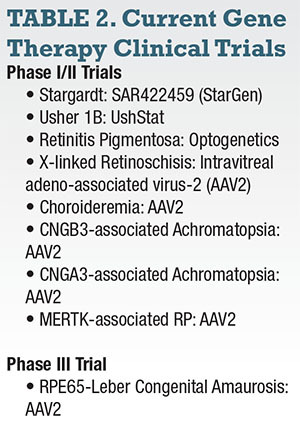 While other clinical trials are testing injection therapies to treat dry AMD and geographic atrophy, there are no proven treatments currently. Ho added, "Using gene therapy for this form of the disease to modify disease progression is interesting and exciting science, but not proven yet." OCT scan of dry AMD. 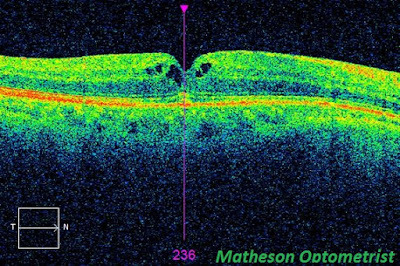 OCT Scan of wet AMD. It is estimated that 196 million people globally will have the disease in 2020, while 11m will suffer significant vision loss. The company dosed the first patient with their one-off targeted injection, in hopes to prevent any further photoreceptor degeneration in the retina. In the UK already 600,000 people are affected by AMD. Targeting the naturally occurring molecule which is responsible for activating MAC, a cell-killing factor named the membrane attack complex which in dry AMD seems to have gone rogue. MAC damages healthy retinal cells as well as unhealthy cells. The injection acts to block the molecule from attacking, this injection being the first of the companies' therapies to progress into clinic. The initial trial will check the safety of the procedure and provide evidence that it can slow down degeneration. If early signs are positive, the therapy testing will be expanded to include patients with less advanced AMD.
" A genetically defined treatment administered early on to preserve vision in patients who would otherwise lose their sight would be a tremendous breakthrough and certainly something I hope to see int he near future," said MacLaren. These pioneering advances in medicine follow on from the clinical trials for the treatment of choroideramia which has recently been successful. Patients have experienced deterioration in vision relating to a batch of lens implants. Recent press has highlighted a batch of lenses used during cataract surgery, to be causing a decrease in vision. Typically the change is noticed at 36 months, where postoperative opacification has compromised the optical quality of the lens. Photo taken under Infra Red light. You can see the plastic implant of the lens, sitting just behind the iris. The coloured part of the eye. 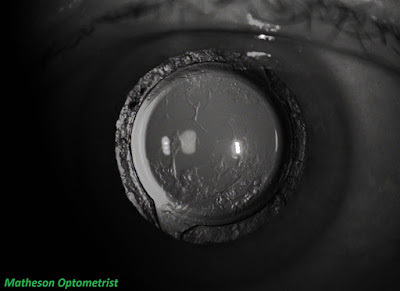 The lens is clear when it is first implanted, here there is a thickening of the old cataract skin. This is the common PCO - posterior capsular opacification. Patients affected with reduced vision should contact one of our optometrist for further advice. The plastic lenses can become opaque after cataract surgery, in a process called PCO - posterior capsule opacification. 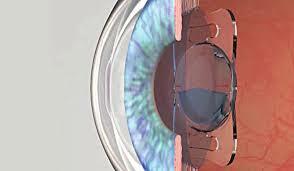 It is a fairly common complication of cataract surgery and its treatment is simple and painless. The skin of the cataract which is left after surgery can sometimes thicken and degrade vision. A laser procedure is done in the outpatient clinic, which removes some of the thickened cloudy lens capsule. Treatment is quick and effective, returning vision to what is was like just after surgery. 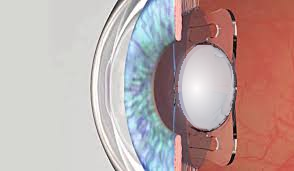 The Oculentis implant sits behind the iris, in place of the cloudy natural lens. The clouded implant lens, currently under recall. Should the plastic lens by the problem a referral will be made. An ophthalmologist will advise on the best course of action and whether lens exchange would be an option. In some patients, the eye is too fragile and further surgery would not improve vision. 800 people are thought to be affected. Oculentis, the lens manufacturer claims there may be a problem with interaction the lens surface. There is evidence some people may be predisposed to the problem or even that certain medications are playing a factor. OCT scan of the retina. 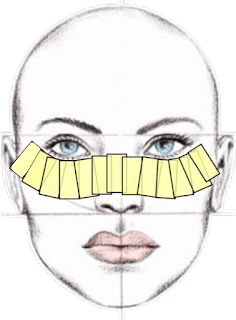 The dip is a natural occurrence, where central vision is located. Imaged beneath are small, black void like spaces. These are filled with fluid and is called, macula oedema. An OCT scan of the other eye, in the same patient. 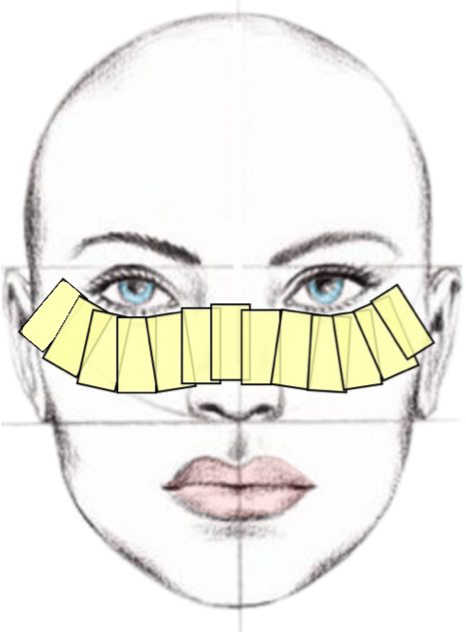 The natural valley or dip for central vision, without any oedema or fluid filled spaces. It is important to rule out macula oedema as the cause of reduced vision post surgery. Patients should undergo a thorough slit lamp examination and have an OCT scan. 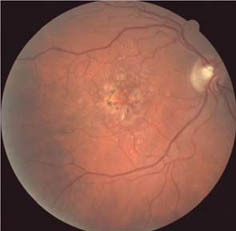 Which immediately shows any fluid or swelling in the macula, which is the part of the retina used for central vision. Macula oedema or fluid in the retina is a possible complication of surgery and should be checked an monitored. If you are experiencing any degradation in vision, come and speak to one of our optometrists who will complete a comprehensive post surgery check. OCT scans are now available at all of our practices. 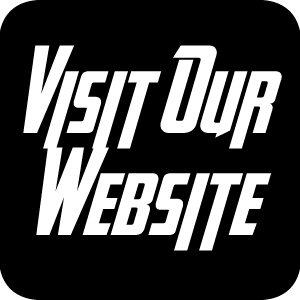 A pre-registration year with Matheson Optometrists? My name is Erica and I'm currently pre-reg here at Matheson Optometrists. I'm in the early stages of pre-reg but can not believe the amount of experience I have already gained. Training at a Matheson practice is a pre-reg like no other. The patient care is what brings optometry to life and is just how I imagined practice life to be while studying at University. Having a supervisor with IP (independent prescribing) has meant we care, treat and monitor a lot of pathology in house. Patients can be treated or prescribed for during clinic, with others referred to closely linked hospitals. There are a few practices within the group and we work between a mix of them all. Meaning no two days are ever the same. They are fast paced clinics, which often require you to think on your feet and be ready for new challenges. We manage RGP patients, BV problems, pathology and are also involved in glaucoma monitoring schemes. Within the first few months of testing, I've checked pressures on a patient with the Goldmann tonometer. Practiced my Gonioscopy skills with the other optometrists. Removed an ingrown eyelash and seen lots of interesting cases and OCT's first hand. The qualified Optometrists are always sharing more complicated cases for us to learn and discuss. If this sounds like the pre-registration experience you would love then please email your CV and a covering letter to Andrew at amatheson@matoptom.com. Tell us what you enjoy about Optometry and why you think you'd be a good fit. There is always something new to be learnt, so it's key you are looking to develop yourself as an optometrist and hone your skills.